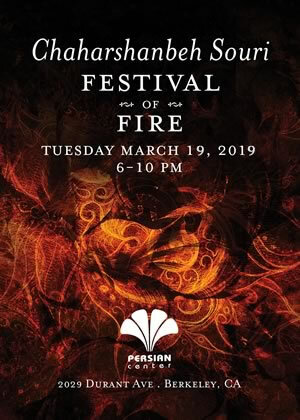 Jump over a bonfire for “Chaharshanbeh Souri: Festival of Fire” to shake off the darkness of winter and welcome the brightness of spring, a Persian ritual passed down since ancient Zoroastrian times. The Persian New Year Festival is called Chahar-Shanbeh Souri, which literally means ‘Eve of Wednesday’ because the festival is always held on the last Tuesday of winter, just before the Vernal Equinox or first moment of spring. In Iran (and parts of Afghanistan and India), it is customary for people to create bonfires in front of their homes throughout the neighborhood and jump over them as the sun is setting. Since the Persian Center owns it’s own ‘home’ at 2029 Durant Ave., it is thrilled to host this event for Iranian-Americans and all who have an interest in the culture. As people jump over the flames they shout, “Shorkhi-e to az man o zardi-e man az to!” which means, “Give me your beautiful red color and take back my sickly pallor!” “Parents jump with their young ones who look wary of going near the flames. Sweethearts jump in tandem. Frat boys try to out leap one another in side-by-side races,” noted a festival attendee. 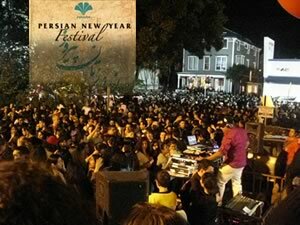 By engaging the non-Persian community in the fire-jumping festival, the organization hopes to allow a glimpse into beautiful Persian traditions and the culture of the Iranian-American community in the US. Inside the Persian Center, a traditional altar holds green grass, live goldfish, food and other items representative of spring called the “haftseen” or seven ‘s’s as each item on the table begins with the letter ‘s’. Persian music, food, and craft vendors, cultural organizations, and children’s activities add to the nighttime experience. This is a free, family-friendly, non-alcoholic event held outdoors at night, rain or shine. Persian Festival dancin' with DJ ‘Dr. T.’, Photo: MondeeB. Sponsors include the Persian Center, Hustead’s Towing, Berkeley Council Members Jessie Arreguin and Max Anderson, East Bay Express, East Bay Loop, Yelp! and Iranican. Persian Center is a non-profit, charitable 501(c3) organization whose mission is to create an environment in which to conduct social, cultural, educational, and recreational activities designed to strengthen the sense of identity and integrity of all Iranians and Iranian descendants, and to engage individuals interested in or related to Persian community and culture. It is one of a few secular Persian organizations in the United States. This is the sixth year that Another Bullwinkel Show has been the event producer. 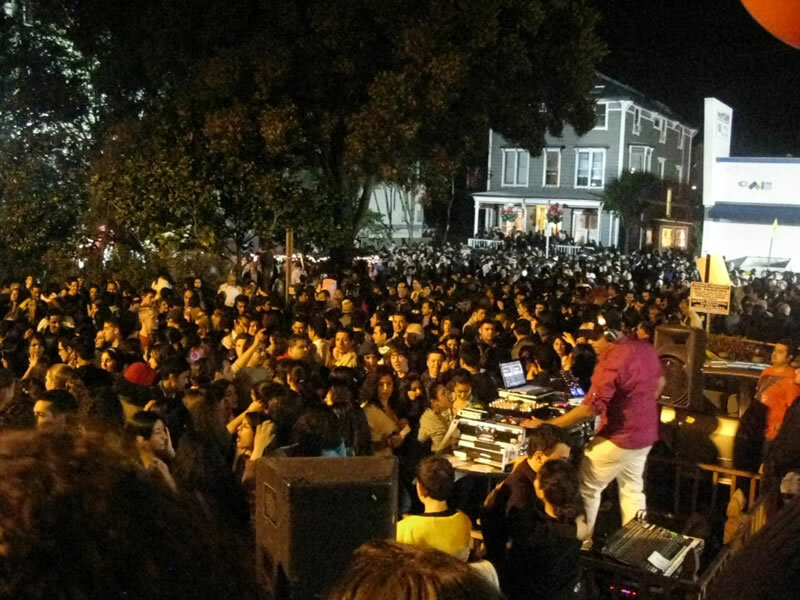 A local company that oversees many of the fine street festivals in Berkeley, Another Bullwinkel Show is proud to bring cultural events to the community. Contact Lisa Bullwinkel for info. Vendors with Persian-related items or of the Persian community are especially welcome to apply although any vendor may apply. This is a family-friendly, non-alcoholic event with an upscale demographic.